Note: This look requires 8 shades of the same color. If you're not a polish collector like me, you can easily achieve different shades by adding an increasing amount of white polish to your original color (i.e. 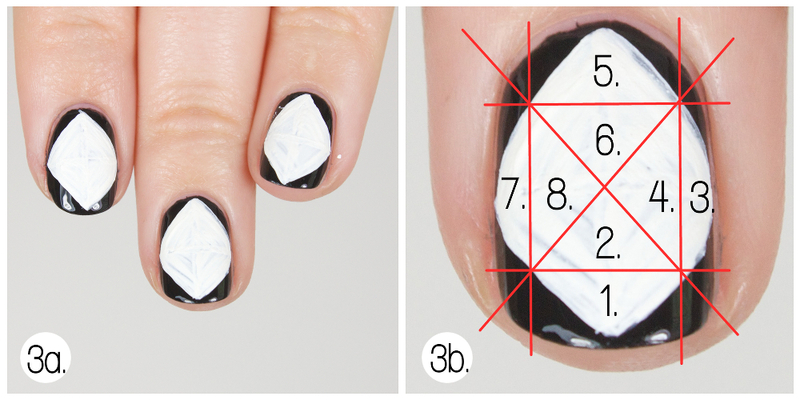 darkest=no white, midtone=4 drops of white, lightest=white). 1. 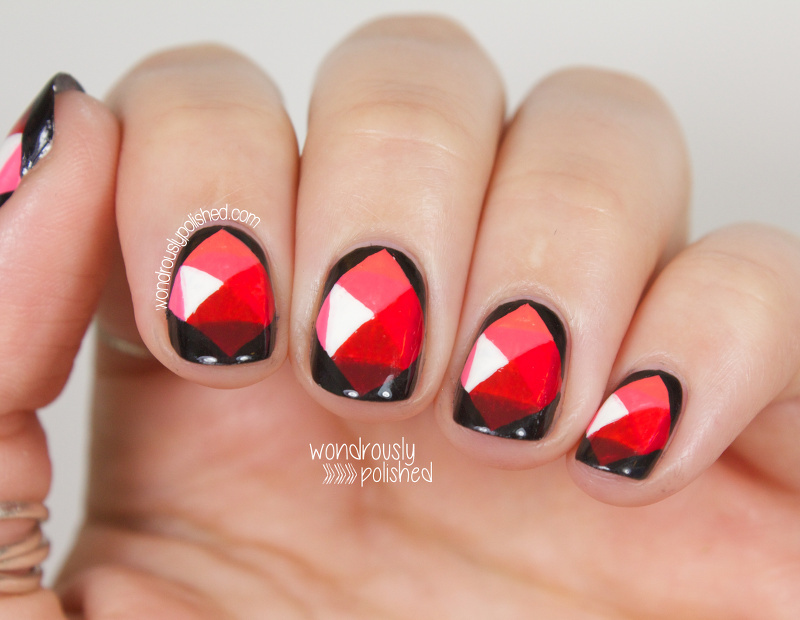 Paint your nails with a black polish and let dry completely. 2a. 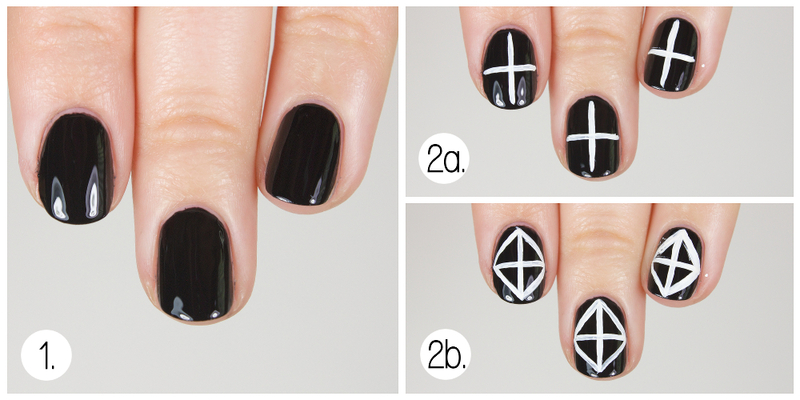 Paint a white plus symbol in the center of your nail. 2b. Connect the ends of the plus symbol to create a diamond. 3a. 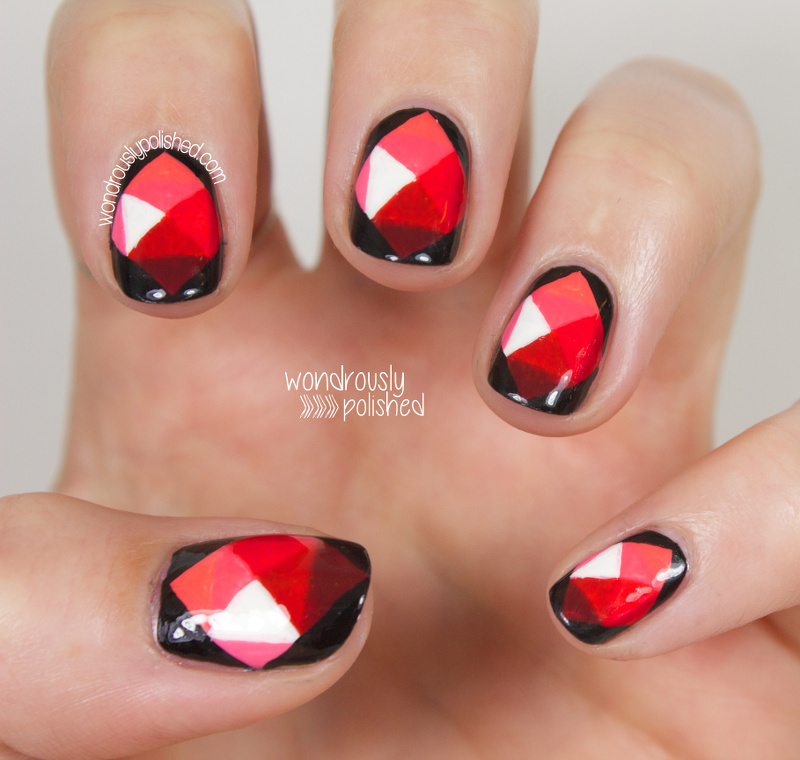 Fill in the diamond shape with white and let dry. 3b. Refer to the layout shown in this step as your key for filling in the colors in the following steps. 4. 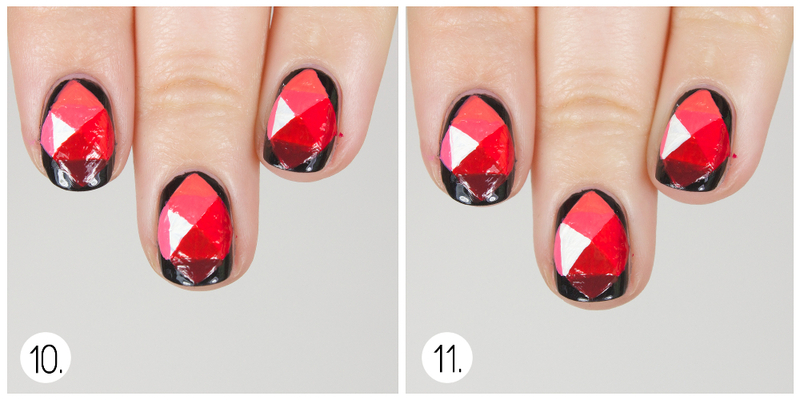 With your darkest red polish, paint a triangle in the "1" spot of the diamond. 5. 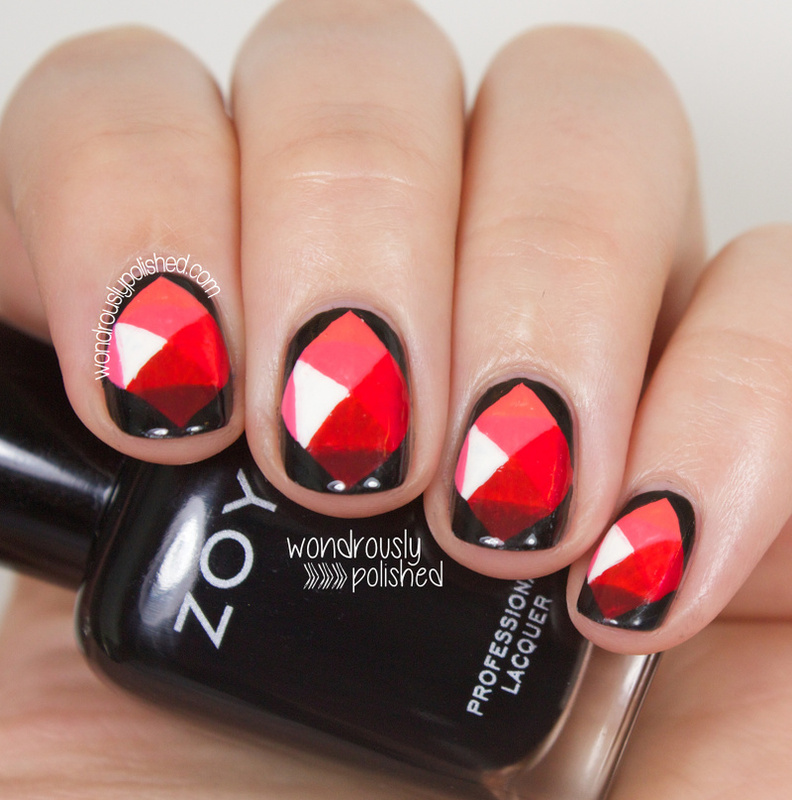 With your a slightly lighter shade of red, paint a triangle in the "2" spot of the diamond. 6. Use another, slightly lighter red to paint the "3" spot. 7. Use a midtoned red in the "4" spot. 8. 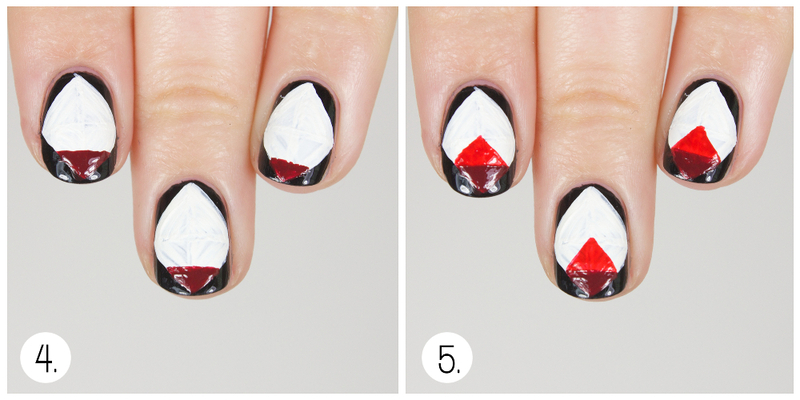 Paint your 4th lightest shade of red in the "5" spot. I transitioned to coral colors at this point to show more shading. 9. 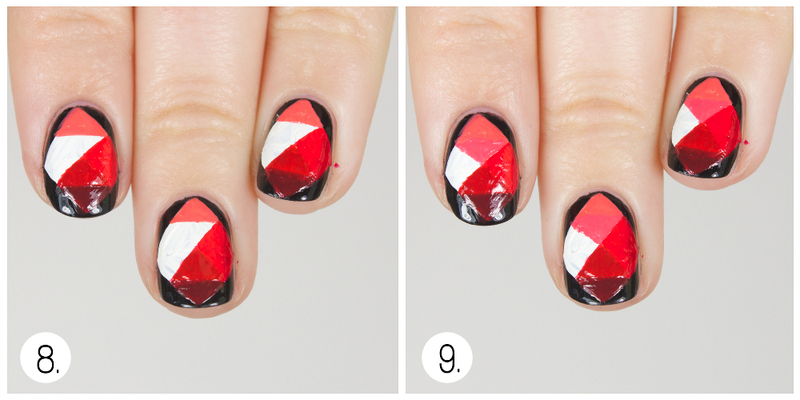 Use a dark pink in the "6" spot. 10. Paint a light pink in the "7" triangle location. 11. 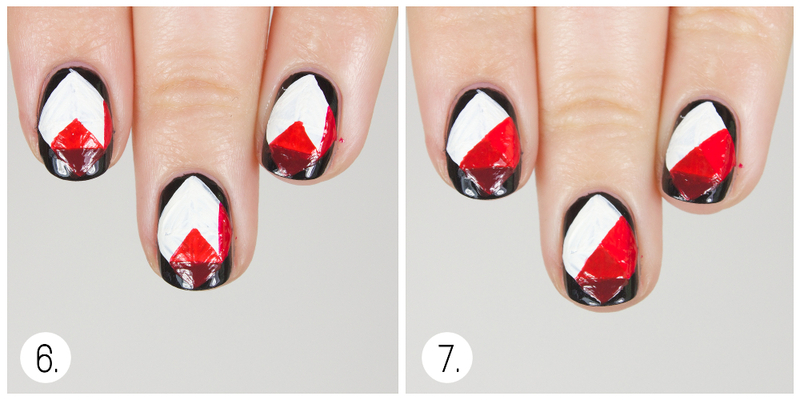 And finally, in the "8" spot, paint a crisp white triangle! 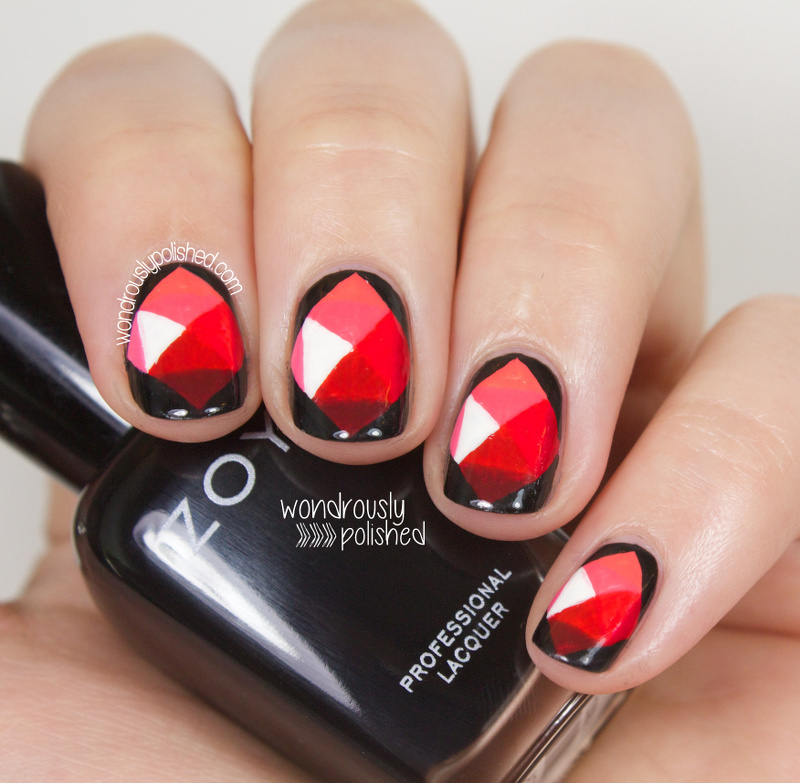 If you outside edges aren't as crisp as you'd like, take some black polish and outline the edges of the diamonds. 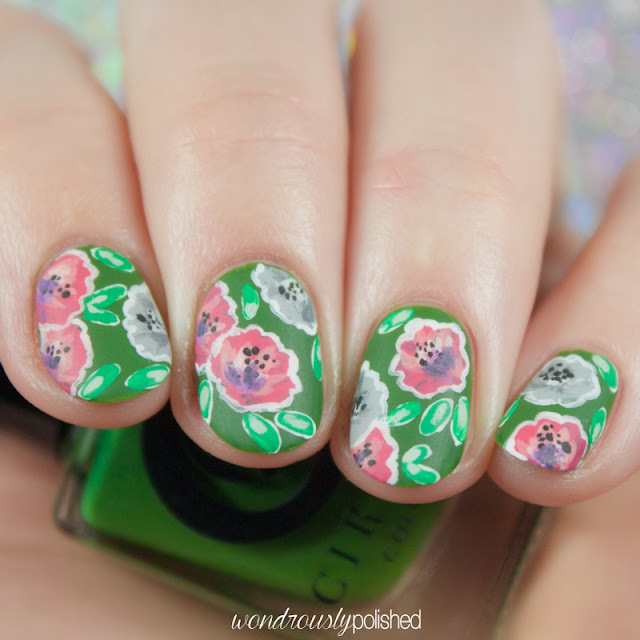 Finish with your favorite top coat and enjoy! 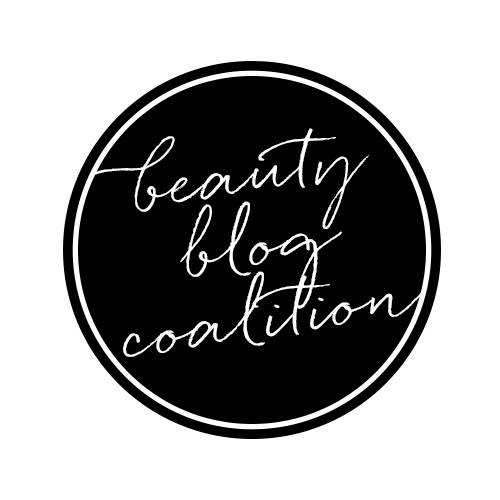 Stay tuned for more Mani Monday posts and be sure to check out The Hunt on their blog, Facebook and Instagram!